To set up your Bank Account, select the “Bank Accounts” tab on the secondary navigation menu. Then click the plus sign under “Add Bank Account”. Enter in your general bank account information: Name of Account, Name of Bank, Routing Number, Account Number, and indicate whether it is a checking or savings account. Then click “Add Account”. 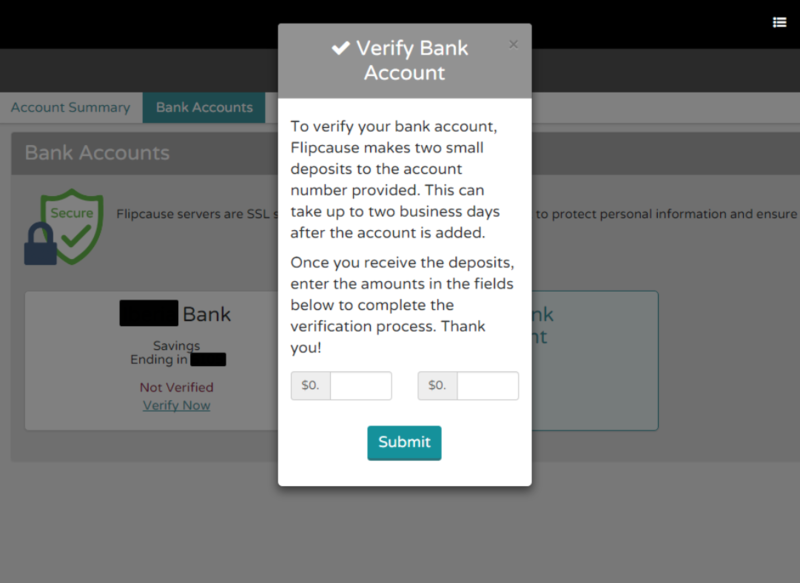 One you have submitted your Bank Account details, there is a 2-step verification process so we can be sure to deposit the funds into the correct account. Within 1-2 business days, you will receive two small verification deposits into the account you have added. 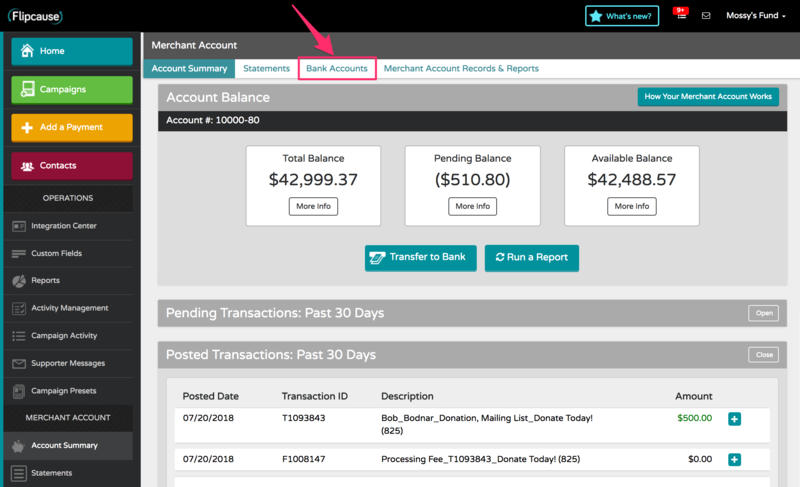 Once you have received the 2 deposits, return to the Bank Account page where you will see your bank account listed with a link that says “Verify Account”. Click on “Verify Account” and enter the 2 amounts you received. This will complete the account verification process. Click "Submit". 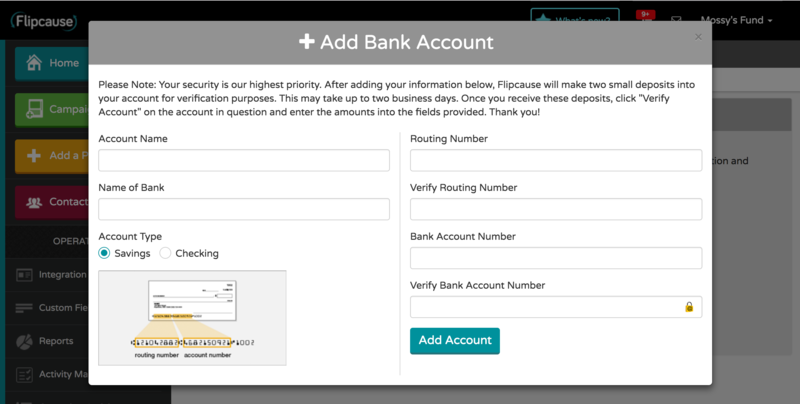 Once your account is fully verified, you can begin to transfer funds into your account!